Der erste große Meilenstein ist erreicht. 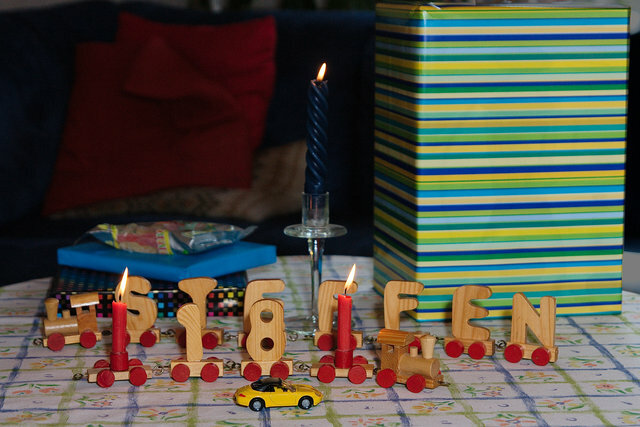 Sohni Steffen feiert heute seinen 18. Geburtstag. Pünktlich zu diesem Datum war am Freitag der offizielle Führerschein in der Post. Und dann wurde mir heute Abend ganz anders, als die drei Kinder ohne uns Eltern im Auto unterwegs waren, um noch etwas zu holen, was die jüngste Tochter vergessen hatte. Irgendwie fühle ich mich da doch alt. 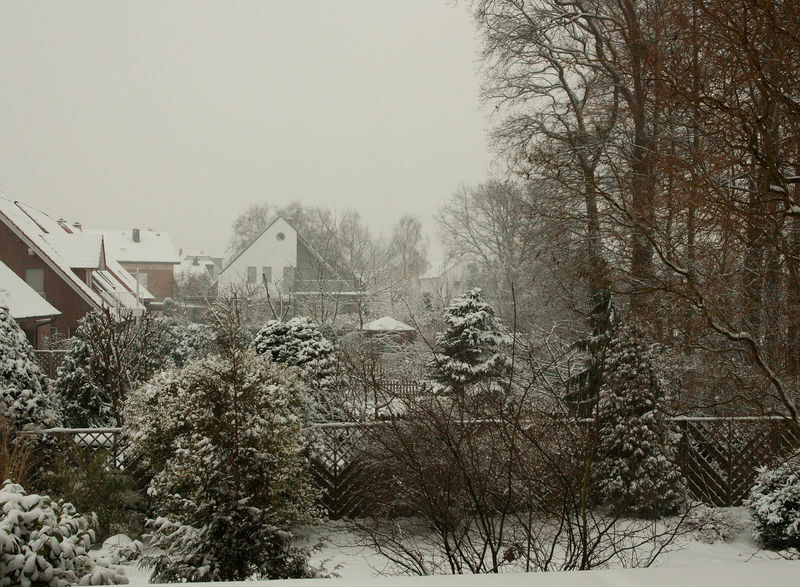 Der Winter hat uns. Und das, wo es ab morgen wieder zur Arbeit gehen muss. Managed by the beautiful Tellico program, I’ve updated my database of books I own and have read. Currently the number is at around 560 books, while the next batch is already on its way from Amazon. And this doesn’t count the books about knowledge stuff (programming, computers, etc). And I guess about 2/3 is in English, which is not my native tongue. Not so bad, I think. There is still life on this planet. Well, long time no write. The situation of my company and my personal situation within has been sufficiently dragging me down, to keep me from updating this blog. Hopefully changes for the better are on the horizon in the next couple of months, now that Fujitsu has agreed to buy the Siemens’s 50% share. Anyway, I’ve been wanting to update this blog theme for quite some time. I originally planed to create something from scratch. I think technically I would be capable to create something new, I though it’s not really worth the effort. There are so many great free themes out there, that I choose one from this collection from Smashing Magazine. Currently the Livegreen is deployed. However, there is the chance that I might switch to the Abstractia theme. The sidebar of Abstractia needs some modification to make it widget aware. Independent of the theme I’m going to use in the end, I going to apply some personalisation in terms of colour and photography. Sohni Steffen ist dann jetzt auch unter die Automobilisten gegangen. Er hat heute morgen im zweiten Anlauf die praktische Prüfung für den Führerschein ab 17 Jahren bestanden und auch schon seine erste Fahrt zurück nach Hause gemacht. It’s actually already two days, since we’re back from a 2 weeks vacation in Denmark. 2 weeks of Xtreme relaxing. Since we weren’t able to make up our minds until the beginning of May where to go for vacation this year, we ended up somewhat more in the North as originally planed. In our preferred location, Vejers, no free spots were available. So we ended up in Nørre Vorupør (see below, it’s the lower of the two parallel houses below the marker). The 2 weeks were mostly spend reading books, playing with the new Sony-Ericsson W890i mobile phone (as a dictionary, a MP3 player and a Geo-Logging device, more on this in a later post), some short walks through the location and watching a couple of beautiful sunsets.